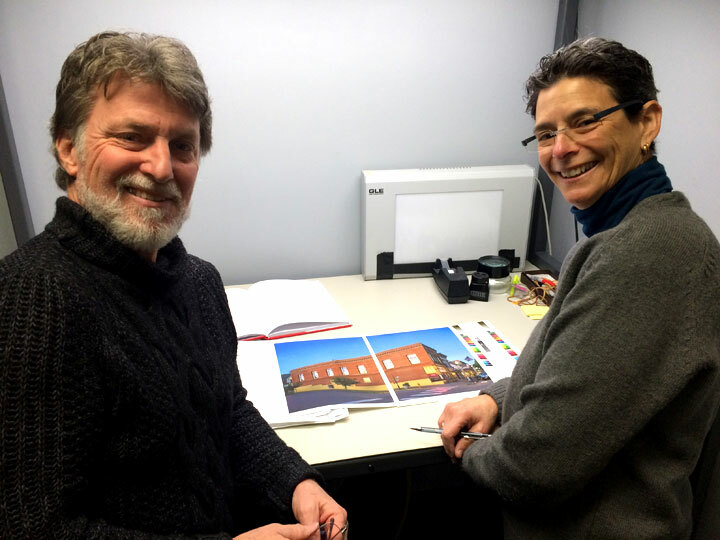 On January 13 of the new year, Otto and I met with Leah Finger, Production Manager with Lucia Marquand, to go over the first round of color proofs produced by Seattle’s iocolor. Leah made precise notes on the proofs like, “make better.” I learned that iocolor was established in 2001 as a sister company with Marquand Books, and Leah has a five-year relationship working with the technician/artists at the company. Otto and I were so impressed by process that I took another picture. Otto with Leah Finger, Production Manager, at Lucia Marquand. 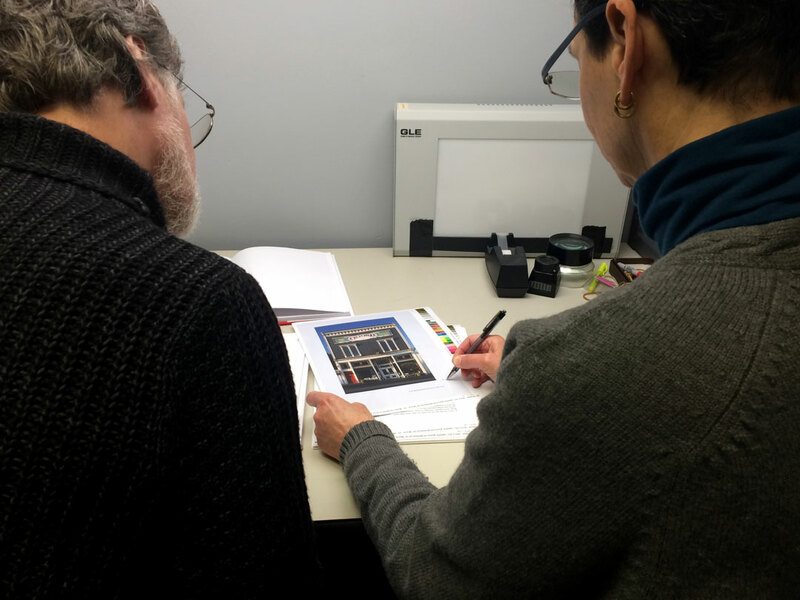 We met for two more follow-up color proof sessions, each time with a smaller pile of images as they were fixed and approved. Follow this link to visit the iocolor website, warning: the site contains beautiful books!